When I used to live in the rugged mountains of Colorado, I had a Scottish Highland Cow for a neighbor. I lived in the middle-of-nowhere in a town with one traffic light. 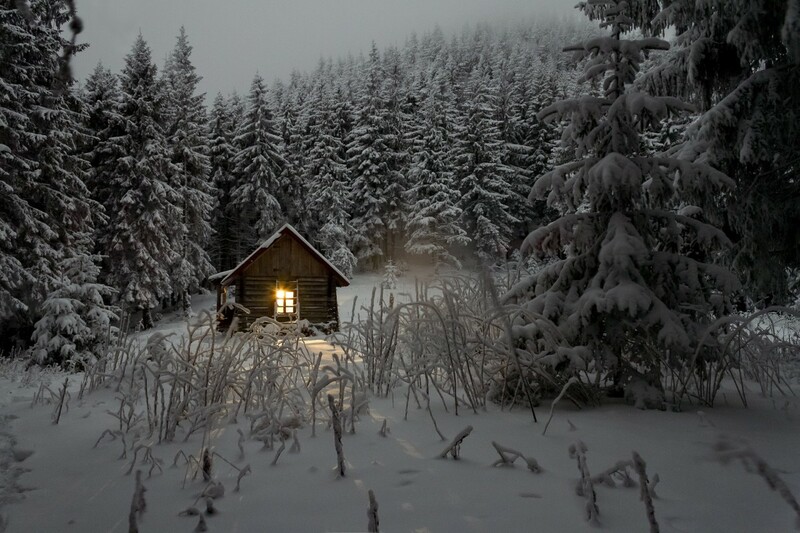 Of course, my house was way out of “town,” up in a thick evergreen forest that got burned to the ground one year – but that’s a different story. Down the red dirt road, past half-abandoned trailers and log homes that blended in with the forest, lived the Scottish Highland Cow. 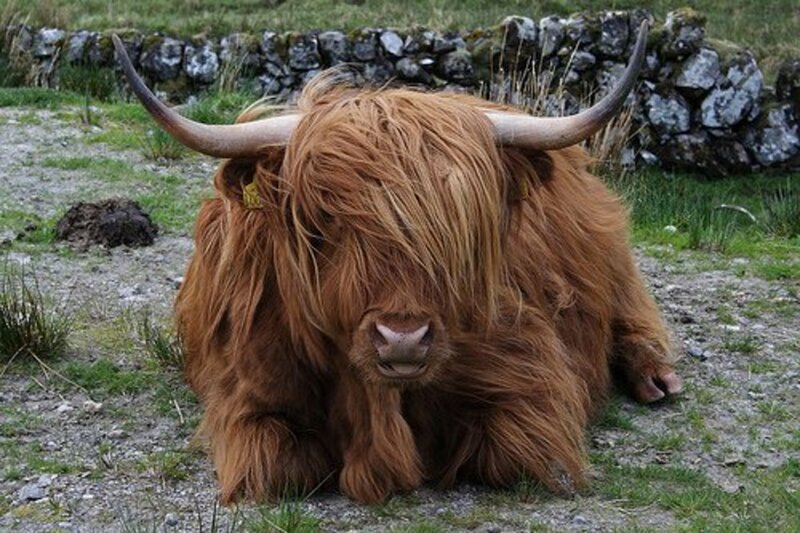 I didn’t always know that he was a Scottish Highland Cow. I used to call him a Yak. 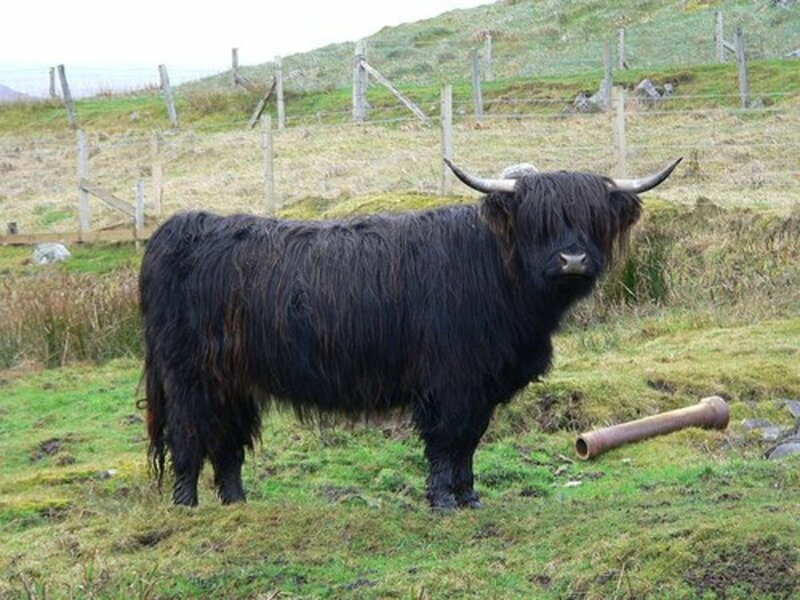 But a neighbor kindly informed me that it was indeed not a yak (no matter how fun that is to say) but a cow. He was an orange mangy beast with knobbly horns on his head and a look of utter boredom on his face. His shaggy hair was left uncombed. He stood still under the evergreens, and I don’t remember ever seeing him move. I suppose he looked like a cow somewhere under his enormous coat of orange hair, but I always thought of him as a yak – you know, the kind of yak that the Yeti keeps in the Himalayas. But this was the Rocky Mountains, and I don’t believe the Yeti knows how to travel by sea. They are indeed from Scotland, originating in the Highlands and western islands. Highlanders have existed for hundreds of years. 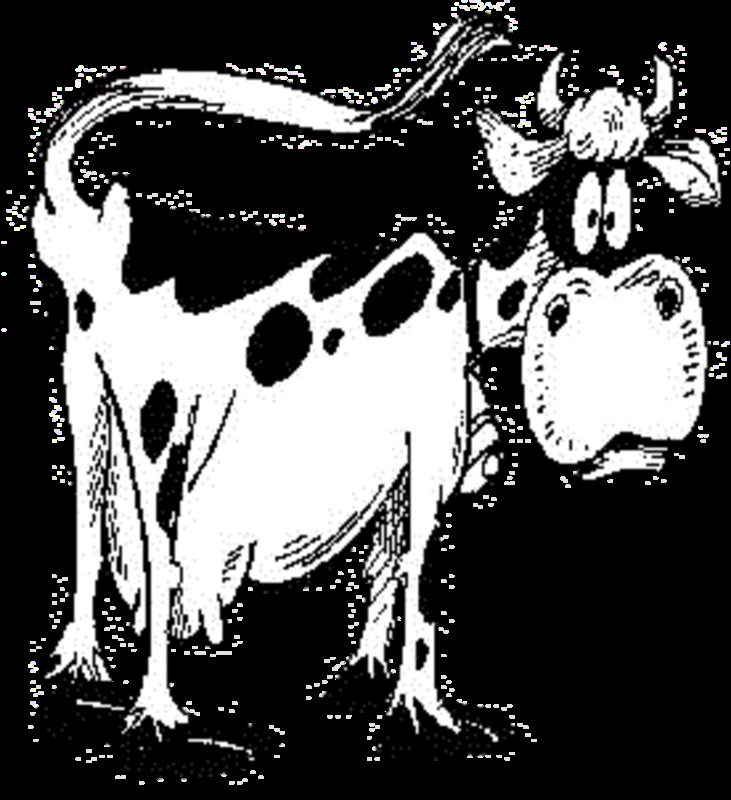 They are the oldest registered breed of cattle. 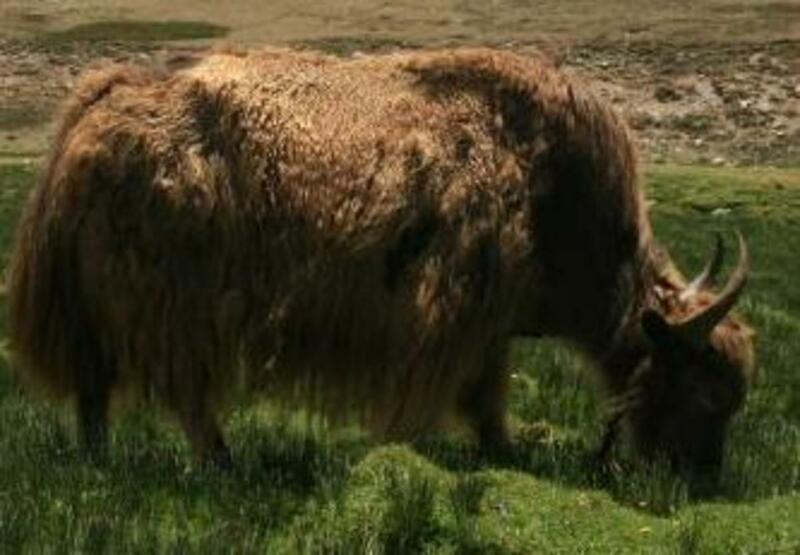 Highland cattle have been exported to many places around the world. They were bred from black and reddish cows. They can be colored black as well as orange. They are hardy, long-living, and... nutritious. Both female and male Highlanders have horns. 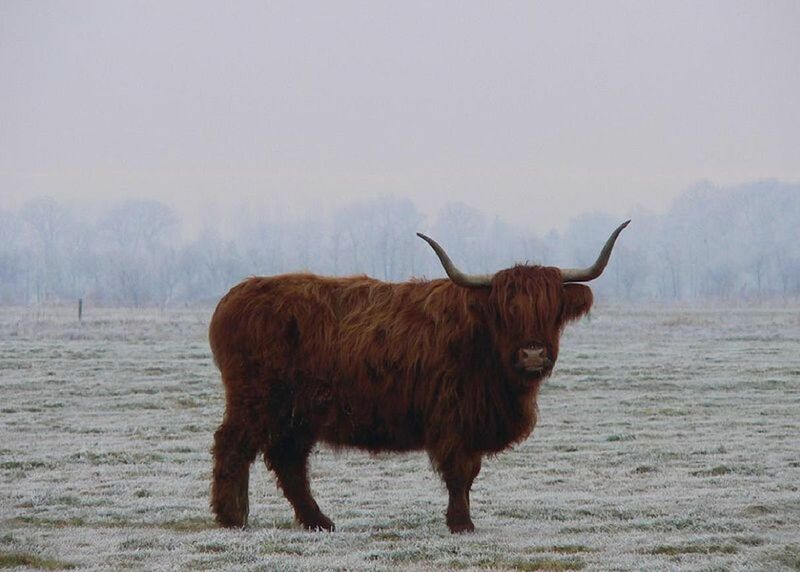 Highland cows enjoy harsh conditions. They are smarter than other cows. Yaks are used to play polo; Cows are not. 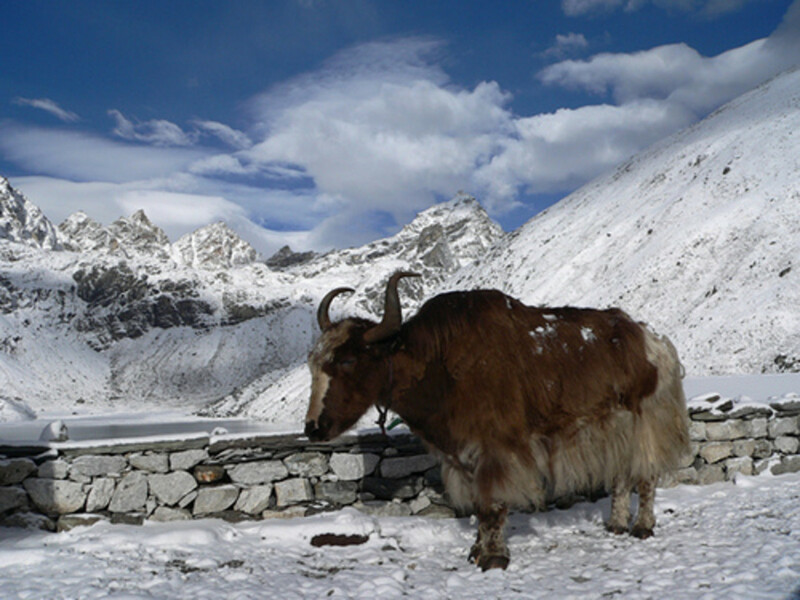 Yaks are used to aid in uphill skiing; Cows are not. “Yak” is fun to say; “Cow” is not. Yak secretion is used in Nepalese medicine; Cow secretion (as far as I know) is not. Yaks are not orange; Cows are sometimes. I love the United Kingdom! I don't think I've ever seen these animals even in pictures before. The pictures, btw, are AWESOME. 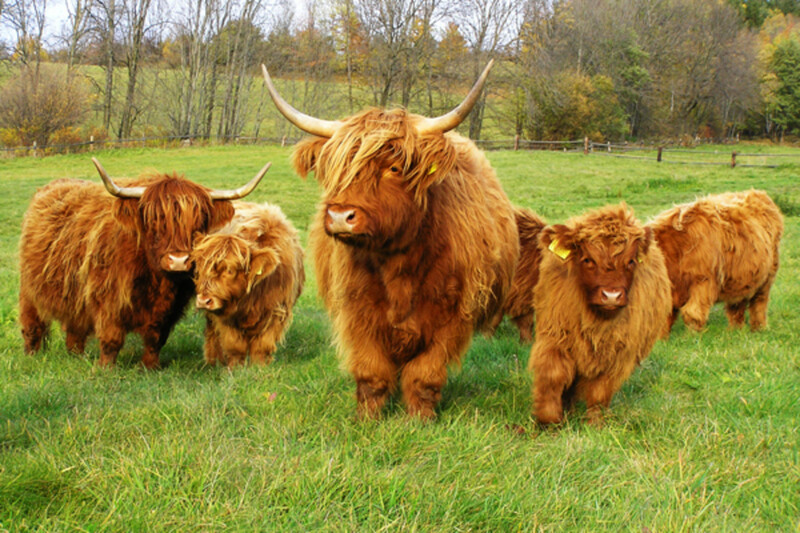 I'd say that these Scottish cattle look like Texas Longhorns with long hair, but they're really built a lot differently, and clearly a VERY different species...but within the same family, of course. Definitely an education on this page!!! These highland cows are beautiful and only one other will tip the scales as far as I am concerned and that is The Welsh Black. They glisten and are so beautiful. I really enjoyed this hub;and thanks for sharing. Hi Brooks, yes, I have heard that the Highland Cow is very intelligent. Thanks for sharing your own experience! not only can the highlanders be black and orange. but white, grey, and brindle....and it is clear how much more intelligent they highlander is than most cattle. two years ago i bought my first highland cow and she lives with my grandpas Aberdeen Angus, she knows when the fence is left down and walks into the next field and the Angus are clueless. Hi Amy, thank you for coming by! I've never seen a yak in person - it must be interesting raising them! they do look a lot like yaks and they are about as big but from what i have been reading they are a lot nicer than yaks i have yaks and they are not nice. 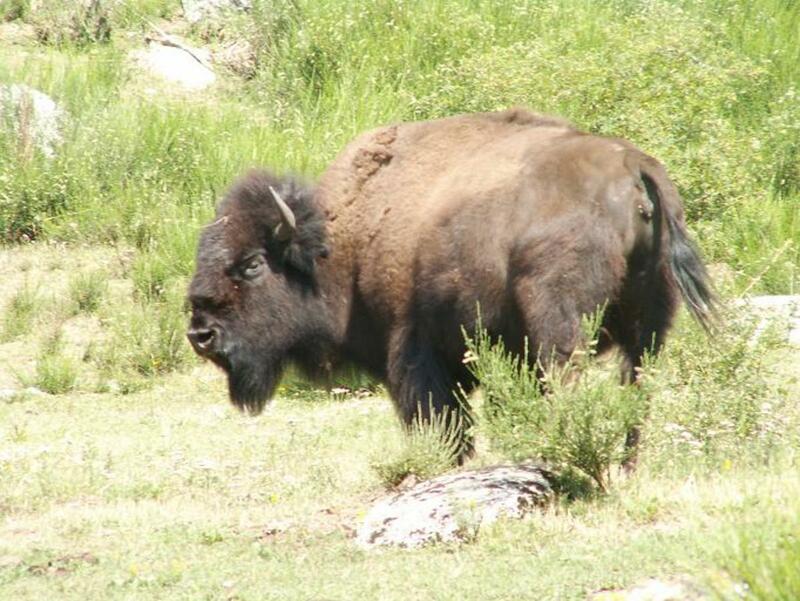 Thanks for visiting, Chapter... it probably is a cousin of the bison. Kendall, I never thought I would ever call a cow cute, but you're right, they are! Great looking animals and the young ones are pretty darn cute! rmcrayne, haha, I know it's so funny! It's tongue is even sticking out! What handsome animals. Great pictures, especially the first one! Rhianna-inspired side swept, beautiful auburn hair, brooding look. That animal is a rock star! NeilRF, oh my, I feel like I'm struggling through Stevenson's poetry again! Scottish is so hard to read! Thank you for the link... The Highlands must be a gorgeous place to live. Thanks for coming by! 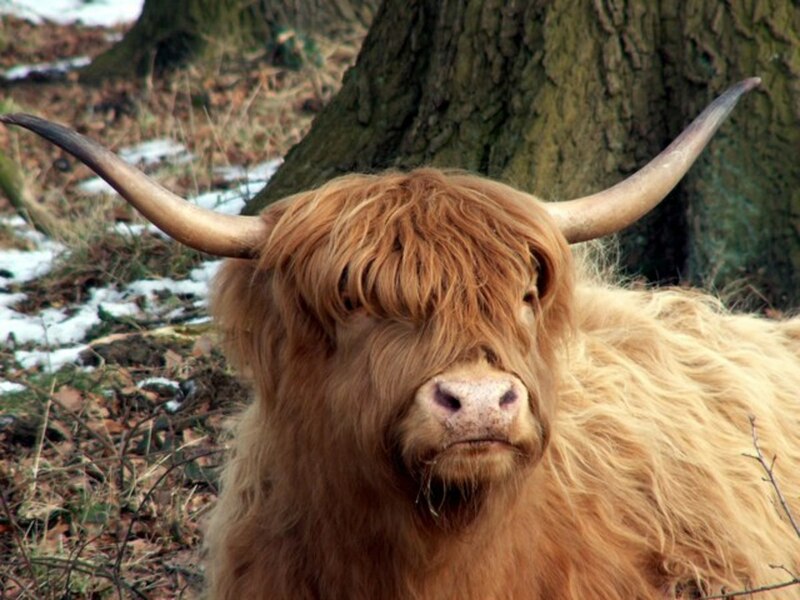 A Heelan Coo is definitely no Yak! Thanks for clearing that up and some good info. I live in the "Heelans" and I dinna ken fit they do wi the hair o a coo!! Listen to a guid Scots accent (actually called "Doric") at: http://www.bbc.co.uk/voices/recordings/group/scotl... and click on voice clip 1 - it's afa informative! Patty Inglish, good question. I know that their hair used to be spun into yarn back in the day, but I'm not sure if that is done anymore. barryrutherford, nope the Highlanders are quite different from Angus. Jane Grey, I really don't know exactly why they are smarter. I read that they have "superior intelligence" and that they are easily led. Plus, they can live in conditions in which other cows would die. D.A.L. thanks for reading and for being the first to comment! They are rather beautiful, in their own way. Scots Highland Cows - Some of the most beautiful animals I have ever seen. Is their hair used for yarn, like Bison hair? 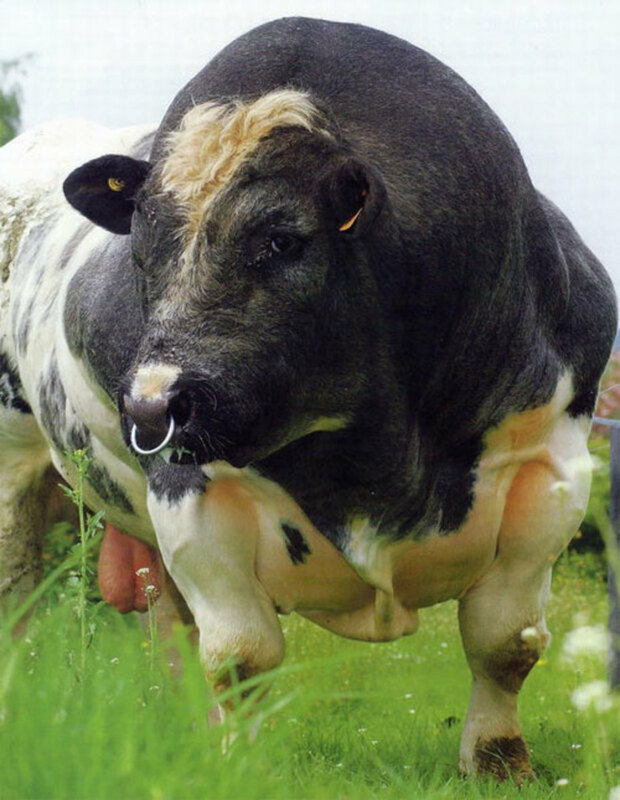 Rose West, I have always admired this hardy breed of cattle. They are such rugged yet beautiful animals. Really enjoyed this hub and your excellent pictures.